This adorable pup enjoys playing with other dogs and hasn't met a stranger. Buddy gets to spend his day at Sleepydog Daycare during the week while his foster mom is at work. Such a great place for dogs to have fun! 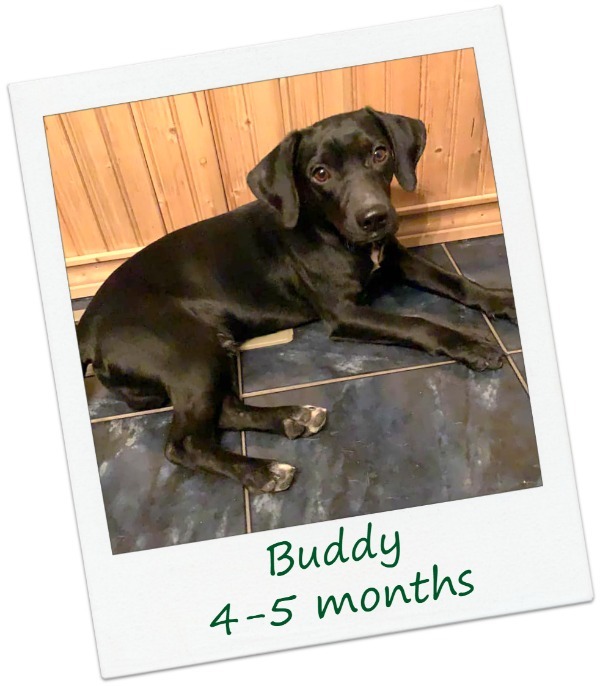 We do not provide DNA testing which is the only way to know with certainty which breeds are in Buddy's genetic background, but we think he is a Lab mixed with a smaller breed. - Enjoys playing with other dogs - even goes to daycare!